There are two places where you can put your customizations – under custom task’s config adjustments or using configuration file under config/[task name].json during loadCustomConfigs() method. 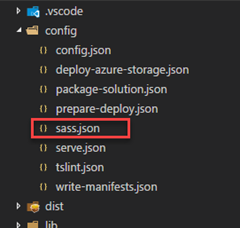 For example I want to extend sass task with some additional options. You can do that directly from your gulpfile.js. Your build variable contains references to all tasks in the build. Before build initializing you can call different tasks’ methods in order to configure them. setConfig is one of that methods. 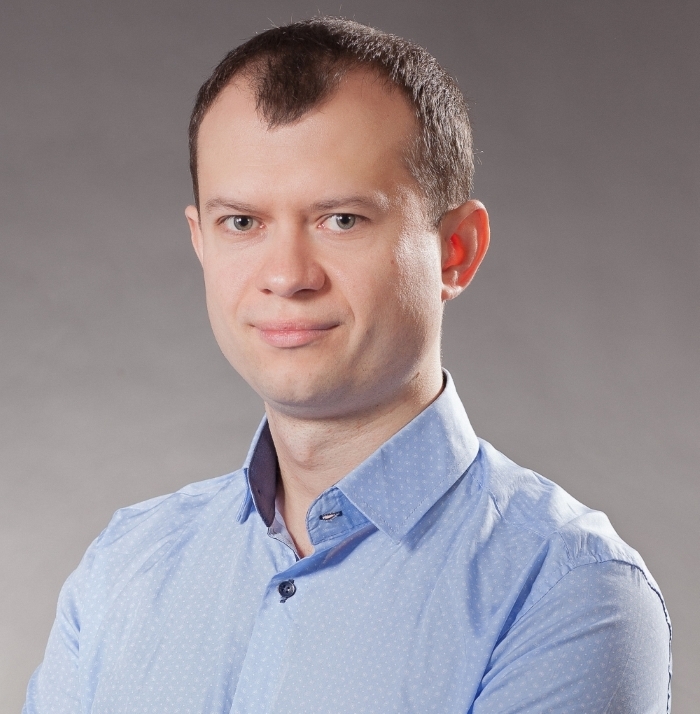 You see, `sassMatch` param completely replaced with our own version. mergeConfig is very similar to setConfig, the difference visible only if you are merging complicated configs with deep nesting. Did you notice that two extra params? 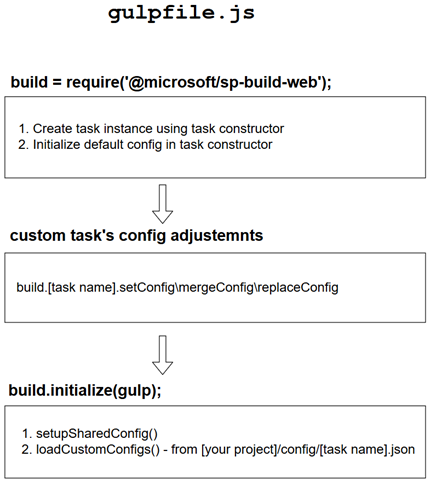 They are added on the setupSharedConfig() stage (see diagram at the beginning). If you want to change this settings as well you need to use another approach for config modifications – task’s config file. In your project, under config folder create sass.json. 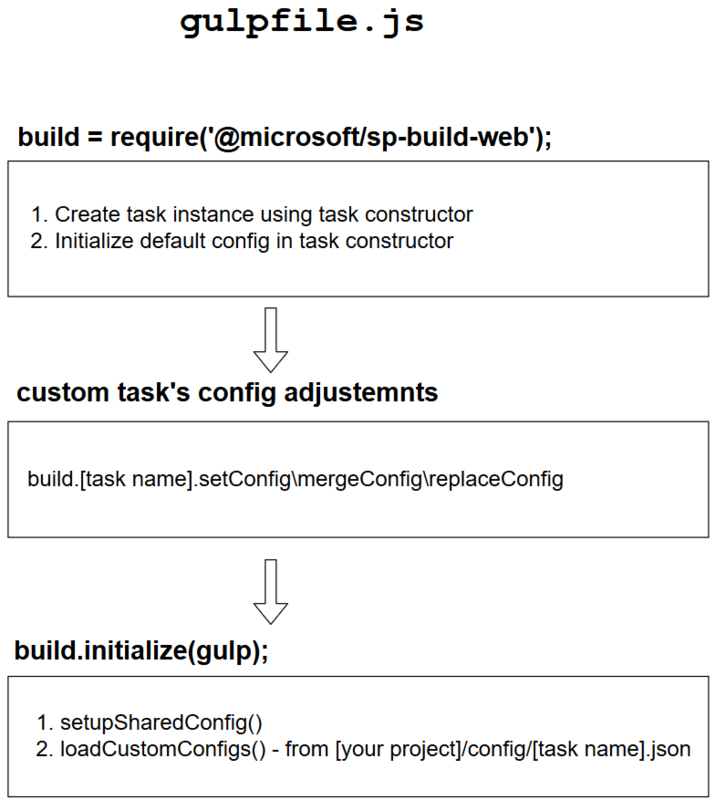 These settings will be added to resulting config for the task using merge (works exactly the same as mergeConfig described above) at the very last preparation stage of the build called loadCustomConfigs(). That’s the last chance when you can modify config for the task. The latter approach is considered as best option unless you have some advanced logic which requires modifying gulpfile.js (read below about webpack). By default inside build pipeline webpack uses configPath option with path to node_modules\@microsoft\gulp-core-build-webpack\webpack.config.js . When this option is used, all others are ignored and all attempts to modify with .json files will be failed. The only working option I found is modifying configure-webpack task in gulpfile.js with help of merge-webpack. You have some options for modifying tasks configs. For simple scenarios use configuration files under config/[task name].json, for advanced like webpack configurations use gulpfile.js and [set\merge\replace]Config method.